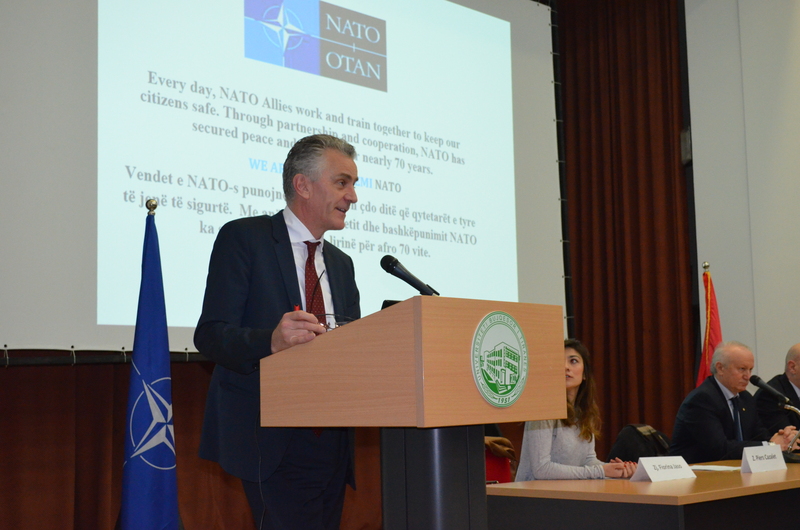 In the framework of the NATO campaign “WeAreNATO”, The Atlantic Council of Albania organized lectures series on the topic “NATO’s today” focusing on university and high school students from across the country, as well as with young people groups in the remote areas of Albania. 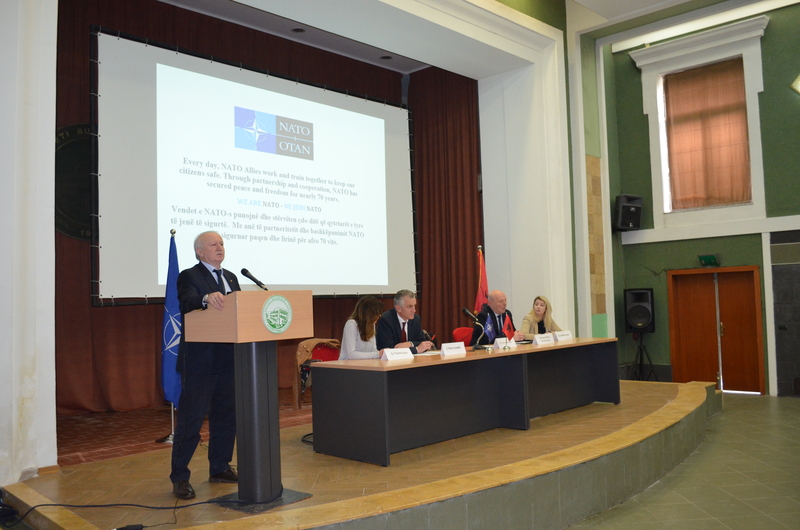 Atlantic Council of Albania, on May 26-28, 2017, in cooperation with NATO PDD and the International Co-operative Center, organized its 20th International Conference on the topic : "Reflecting on the Atlantic integrations in the Balkans". 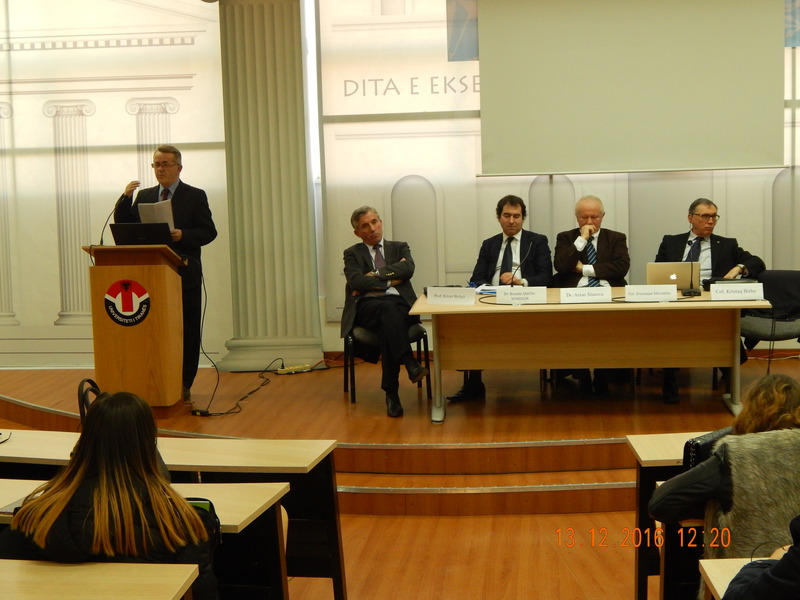 Lecture Series : “Albania, NATO and the future of Euro-Atlantic Security”. 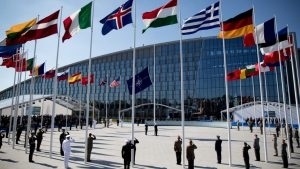 One of the main goals of the Atlantic Council of Albania is to discuss specific issues on current regional and international developments in the field of security with a focus on the role of NATO. 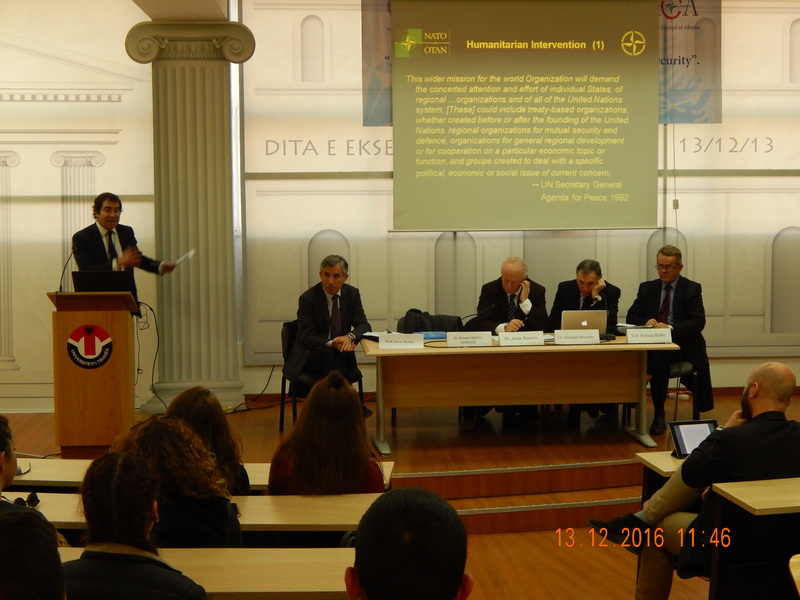 In this framework, on 13 and 14 December 2016, Atlantic Council of Albania, in cooperation with the NATO Defense College in Rome and the Universities in Tirana and Durres, organized a public lecture under the title : “ Albania, NATO and the future of Euro-Atlantic Security”.